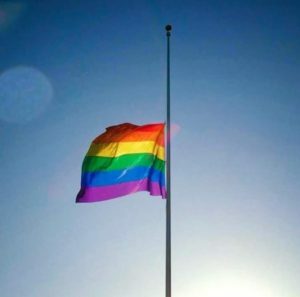 The mass killing of 50 people at a gay nightclub in Orlando culminates a week full of news about violence and news about people speaking out against such violence. This incident reflects so many of the problems in our society including homophobia and hyper-masculinity infused with violence. And this incident will likely serve as an excuse for anti-Muslim responses. As someone committed to preventing violence, this is the time we have to do more than condemn the violence. It is the time for us to take action to solve the violence. The solutions must go beyond creating services for victims and enhancing criminal sentences. The solution must involve changing our culture – to create a culture of respect, responsibility and caring where all people are honored for who they are. This work goes beyond preventing sexual abuse and domestic violence – the work to prevent violence requires addressing how we are with each other every day. These conversations will continue next week. Thousands of people, including many involved in the movement to end sexual assault and domestic violence (such as PreventConnect staff), will attend the White House Summit United State of Women. I will be attending a convening other Movement Makers from NoVo Foundation’s Move to End Violence initiative. We must take advantage of this upcoming opportunities to focus on the creating the solutions.